PHN Fiyah Hott Music | Jeezy- Let Em Know [SONG] ~ Phresh Hott New! “Woke up this morning, feeling like Rocky”. Yooo HE’S BACK. 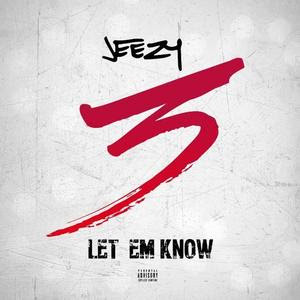 Not to long after announcing Trap or Die 3, Jeezy drops his knew single ‘Let Em Know’. The street ready single came just in time for the weekend and is banging. Then again what else would you expect from Jeezy? Trap or Die 3 will be the third in installments of the Trap or Die series. This following Trap or Die in 2005, and Trap or Die Part 2: By Any Means Necessary released in 2010. I can’t wait to hear the new EP. Take a listen to his latest single below.